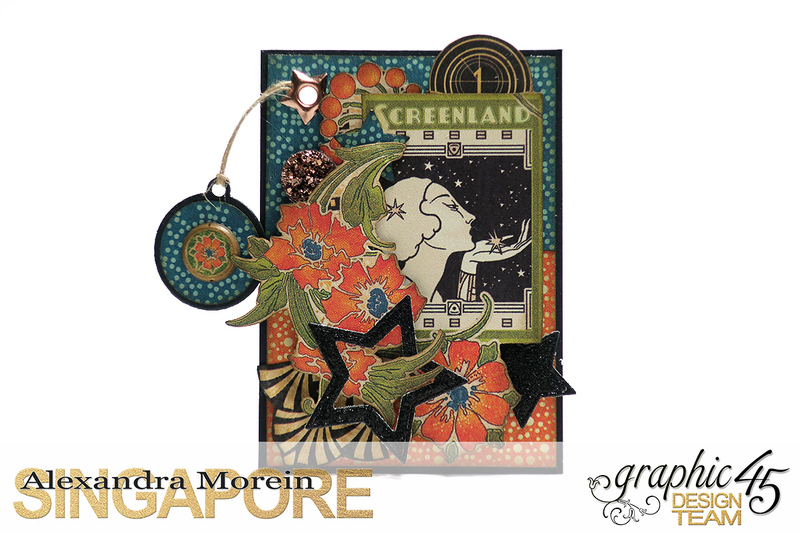 I have been creating quite a lot of the Artist Trading Cards recently and I think I will never be tired or bored with making them. 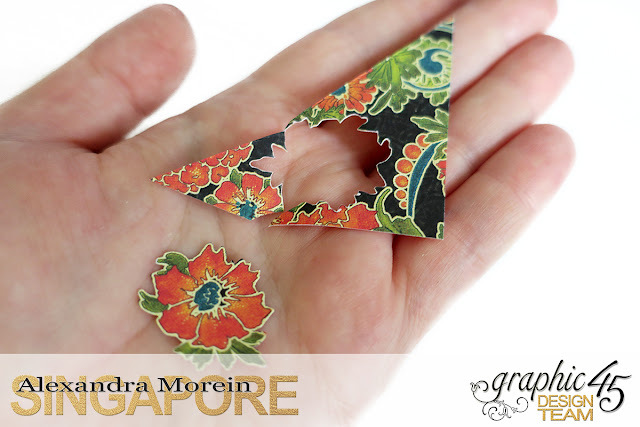 This is a true obsession once you begin. 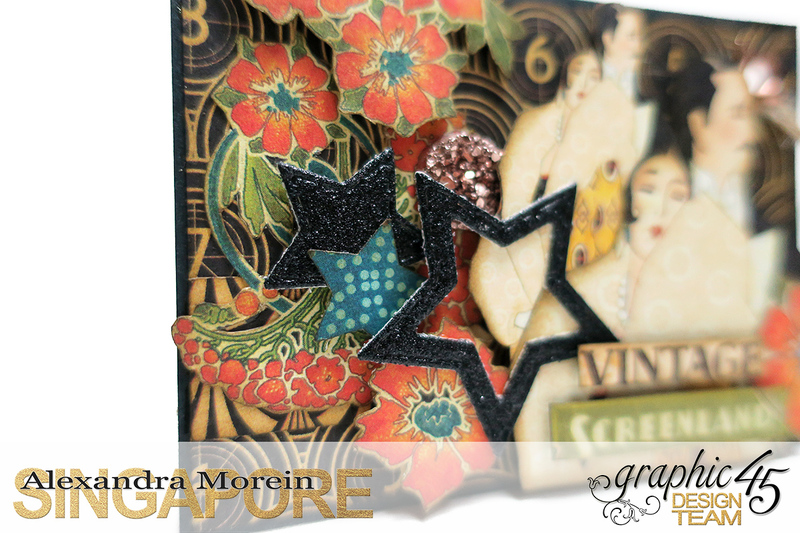 On the limited space you can still arrange as many details as you want. 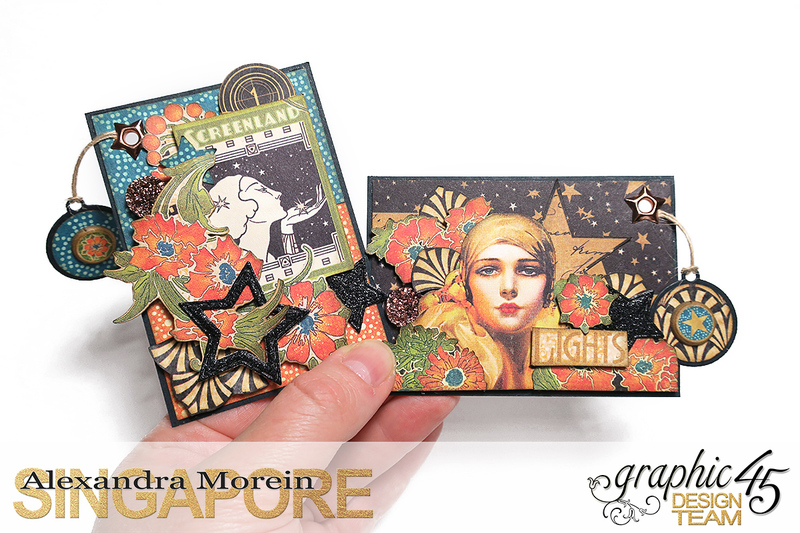 Graphic 45 papers have always been known for their outstanding variety of and richness of characters, so cutting them out for the ATCs is just perfect. 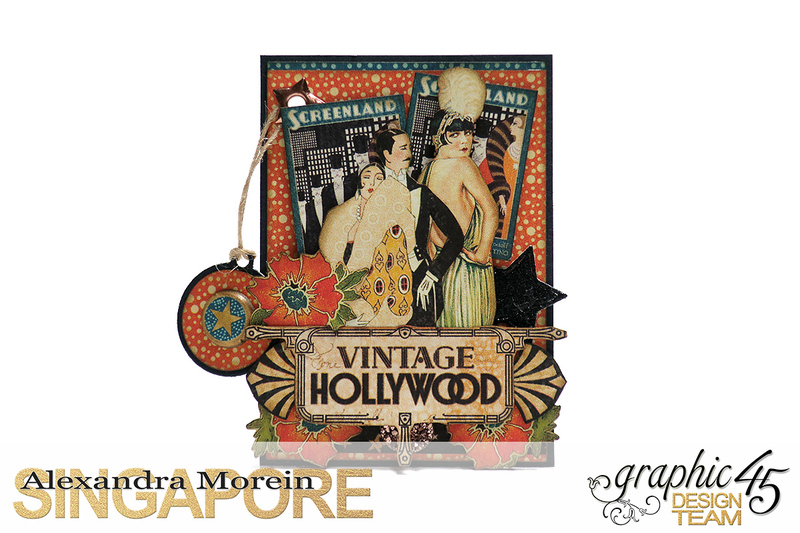 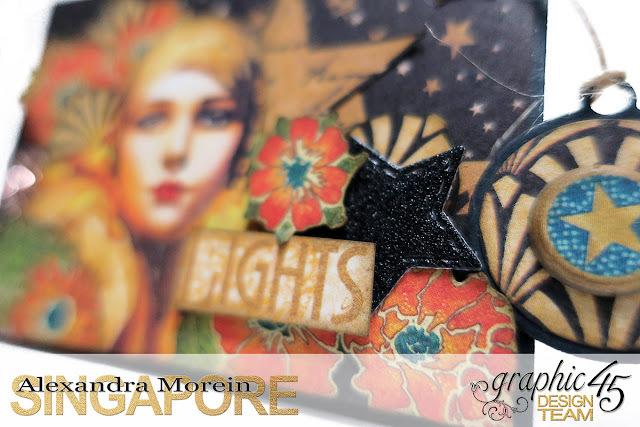 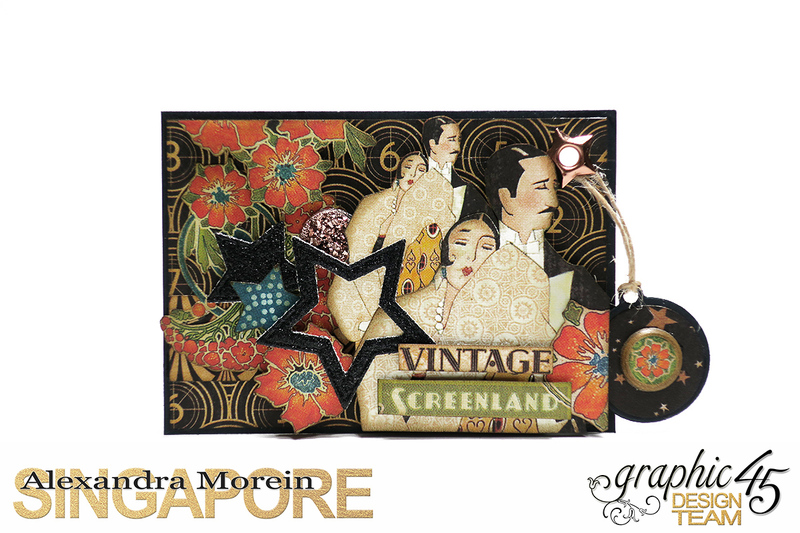 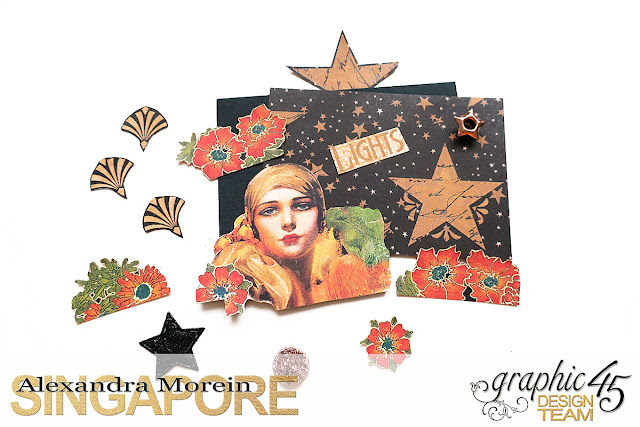 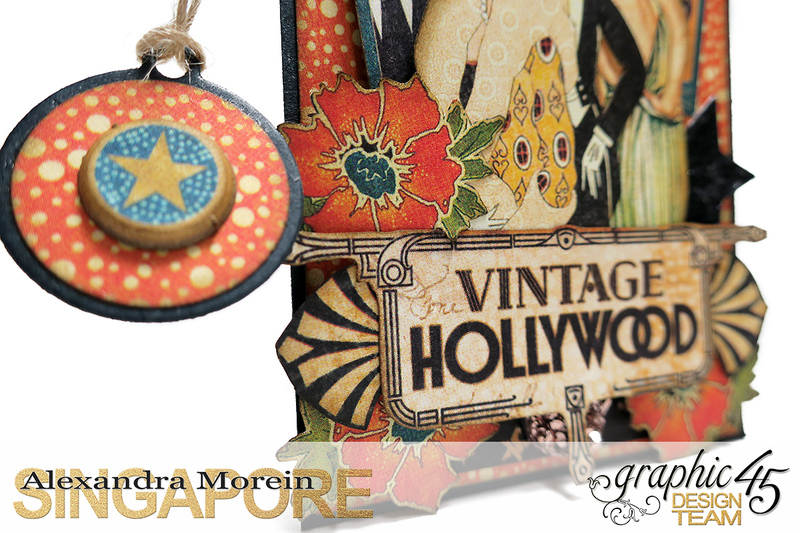 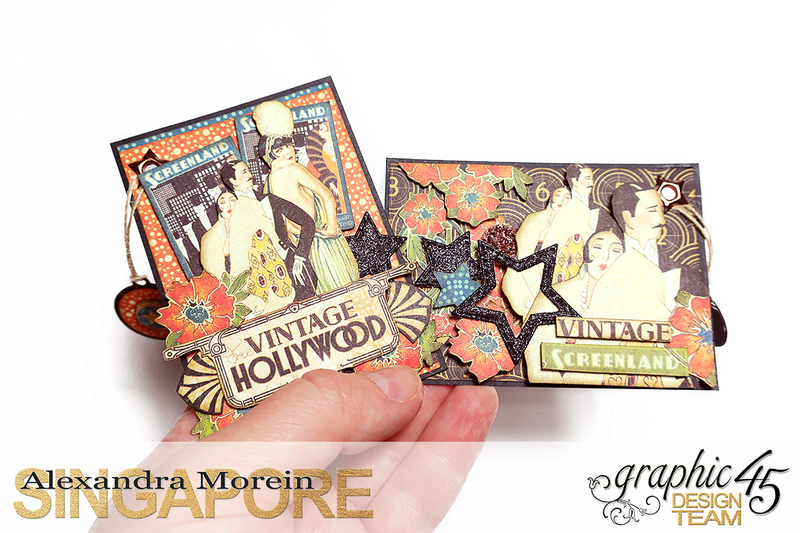 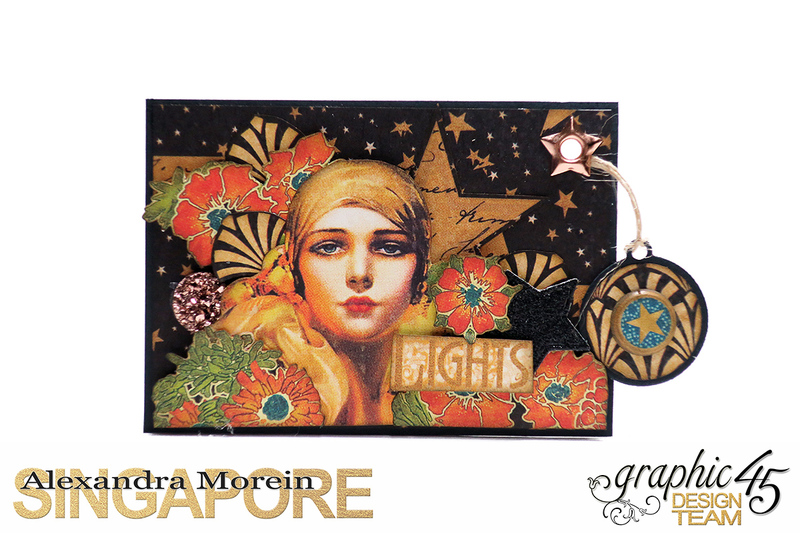 Today I would like to share 4 of my ATCs, which were created with the “Vintage Hollywood” collection. 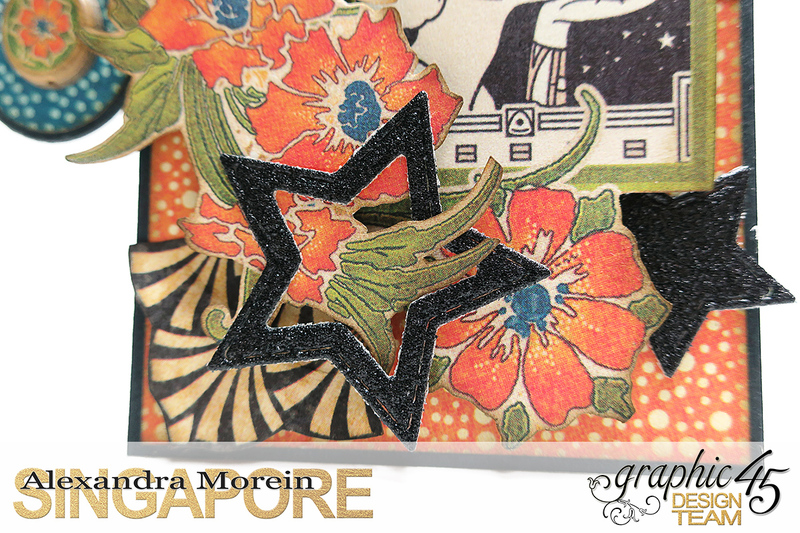 On the picture below you can see an example of the little size of the cut out flowers which I used, as well as how many pieces (more or less) each one of the cards includes. Take your favorite Graphic 45 papers out and start to create!